The Chinese Microsoft store has revealed a new IntelliMouse. The mouse keeps its familiar design, however, the products seem to have received a new sensor. Microsoft has fitted the 132 grams weighing rodent with a PixArt PAW 3389 Pro-MS sensor based on Microsoft's own specifications. The sensor allows for 50 different DPI selections running in a range from 200 DPI up-to a massive 16,000 DPI. The PixArt sensor should also be able to register accelerations up to 50G and has a maximum polling rate of 1,000 Hz. At the back, the wired mouse now would have a small RGB. Available in black and white versions the mouse will cost roughly 50 EUR/USD. The price is listed at 400 yuan, which is about 51 euros. Will it only work with Windows 10? Any information about its warranty period? Standard 2 years? The shape is what is important about this mouse. Deathadder nor EC series gives you the same feel. 105 g is Classic IntelliMouse with some older sensor. Still, this is palm grip mouse, so 132 g is fine. You don't lift palm grip mouse up. Does it require several bloatware from M$ store to work + weekly updates? No, 105g is the new one. https://i.imgur.com/a98ctKO.jpg Please don't spread false information. That's impressive after all these years. How long have you been using it? This is a 3.0 clone, obviously. I fail to see how that's "downgrading" because you want completely different shaped mouse. This is the best ergo shape there is. Different people has different palm size. I find most mice to be extremely huge. I'm using a Steelseries Rival 100, which is still too huge for me. 132 g is correct product net weight. ~104 g is the weight without wire. 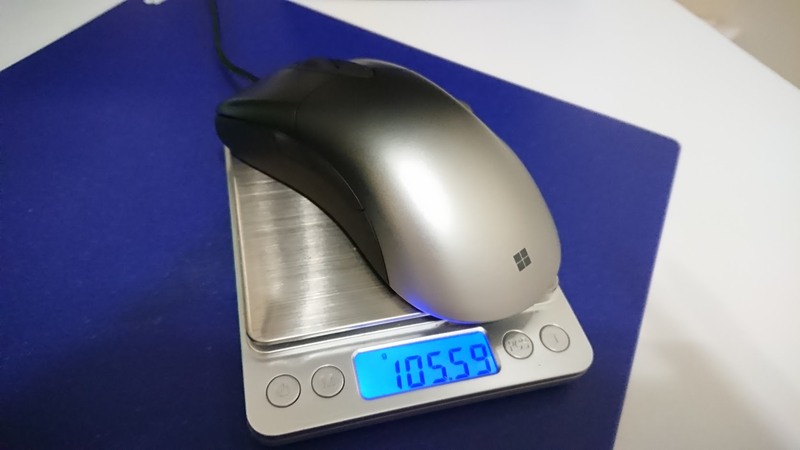 I'll just remind you again that you said the Classic Intellimouse was 105g and not the new one, because the new one is 132 and it's fine because you palm grip it. The product net weight could be 500g for all i care. It could have 10 meters of cord, aslong as the mouse is the 105g i said. This isn't really the point. Ofcourse everyone is different, however why would the person say that Microsoft is "downgrading" their "crap", because they're making a 3.0 clone and not a 1.1a? That makes no sense at all. They're completely different mice and somehow the person felt like the only "Intellimouse" that counts is the 1.1a and the 3.0 doesn't exist?